Are you curious to know which plants we have in our collection? Perhaps you have seen a plant in the garden, but have forgotten its name? 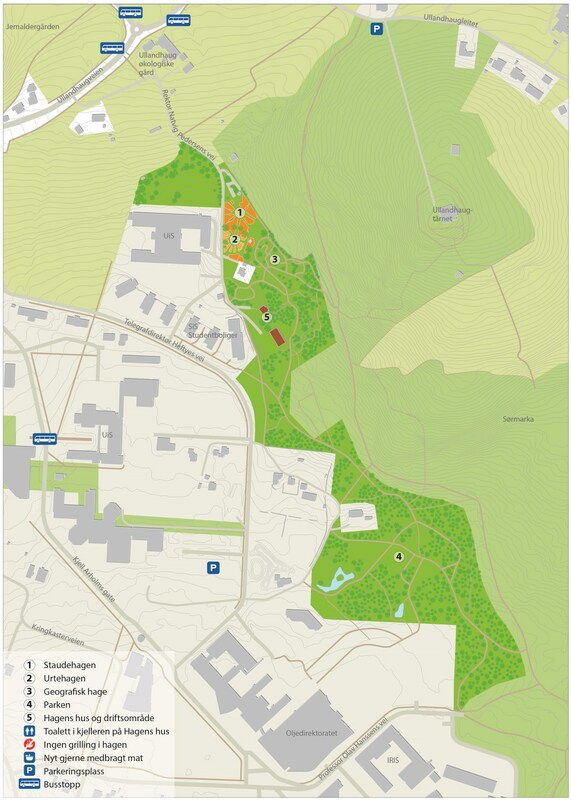 You may use plant names or location to search and explore the plant collection in Stavanger botanic garden. Use the search fields and fill in what you know, then click Search. Use common or scientific name to search for a specific plant species. If we have it in our collection, the map will show you where it is located. You can also search for a Genus, e.g. Iris. You may search by Location to get a list of all the plants in a specific bed or area of the garden. Click on the map for a larger version or download the map as PDF.